You are here: Home What is a Temperature Logger? What are the Benefits of a Temperature Logger? Since the time and date are recorded by temperature loggers, it is possible to tell when each temperature was experienced. From this it may be possible to determine who was in possession of the item, or who was working at the time. This information can then be used to help place the responsibility on the correct party or fix the problem. Ultimately, it can help prevent the issue from occurring again. An exporter discovered that his goods had been left on a tarmac for a number of hours in a tropical country. The temperature logger clearly indicated when it occurred and for how long. In this case it was possible to place the liability but it also meant that the problem could be addressed to stop it happening again. to force a company to accept responsibility for spoilt items and fix the problem. The shelf life of many items is dependent on temperature. You can maximise shelf life by ensuring items are always at the right temperature. One catering company logged a fridge and discovered a temperature variation of a couple of degrees from top to bottom, front to back. This information then allowed them to change the location of the items so they were stored at the correct temperature. People will only talk about you if you provide a terrible product or an exceptionally good one. 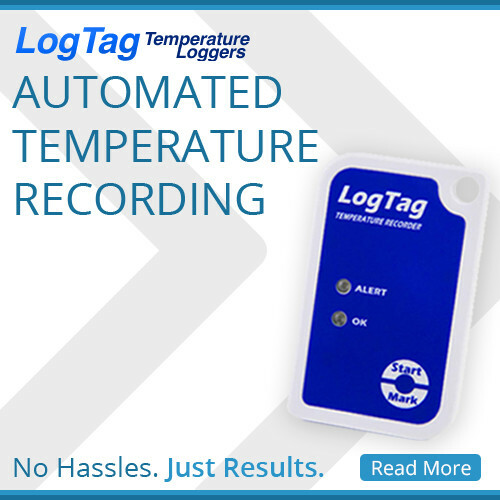 Temperature loggers will help you stop the bad food from reaching the customer. It is then up to you to make the exceptionally good product. Catering firms place temperature loggers with items being sent out of the kitchen. The staff can then test the item temperature before it is served. The information could also be stored in case there were any complaints. But is it all good news? Unfortunately not. Temperature loggers can also introduce problems. Loggers typically provide information after the event. It is no good knowing that a fridge was too hot a week ago when food has already been sold. This is where temperature loggers with built in alarms are useful – the alarm can be set to sound if the temperature exceeds set boundaries, allowing action to be taken promptly. The other problem is that the staff may become complacent and rely upon the loggers to automatically do their job. Staff should always feel responsible for maintaining the quality of goods. The loggers are there to provide proof that existing systems are working or to measure temperature when no staff are present.